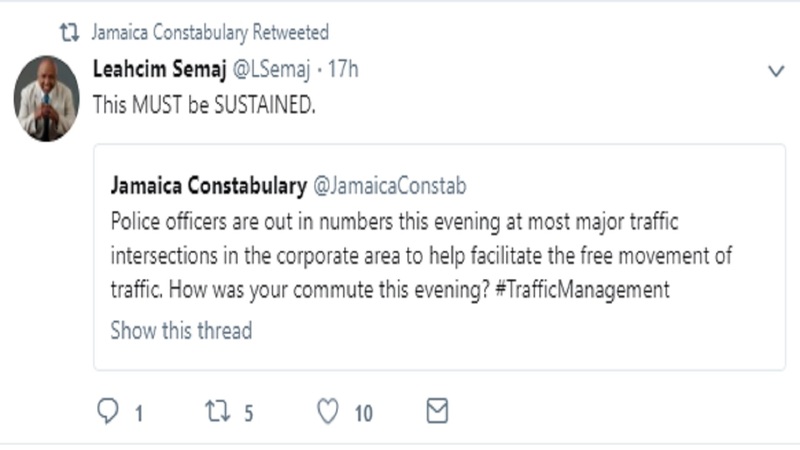 The Jamaica Constabulary Force (JCF) is being showered with praise from motorists after a major operation by the police led to unusually free movement of traffic across the Corporate Area on Friday evening. 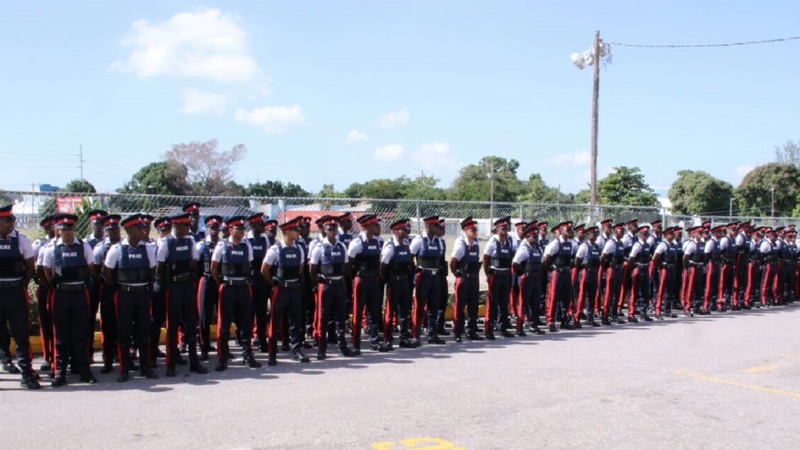 It was part of the JCF's initiative to have approximately 100 young recruits take to the streets across the Corporate Area to help with road traffic duties. 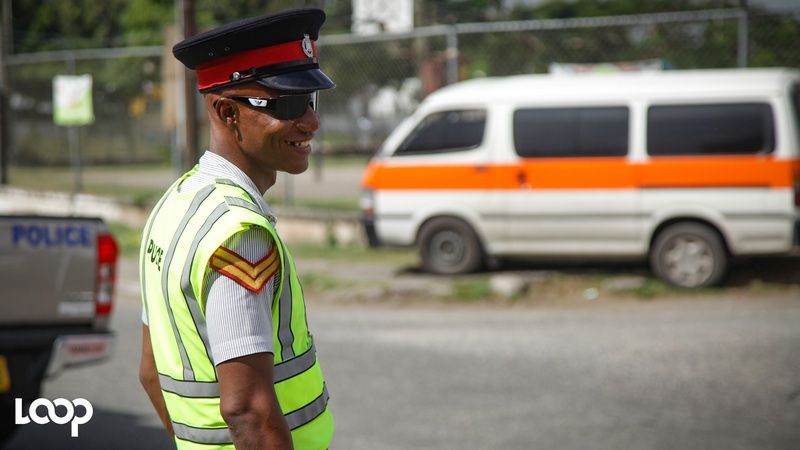 On Friday evening, Traffic cops were out in their numbers at most of the major intersections – including usually problematic ones such as Waltham Park and Hagley Park roads; Slipe and Half Way Tree roads; Red Hills and Constant Spring roads; and Oxford and Old Hope roads. With motorists – including the notorious ‘robot taxi’ drivers – forced to exercise discipline on the roads, traffic congestion eased so much that some people reported cutting their regular peak hour commute time by more than an hour. 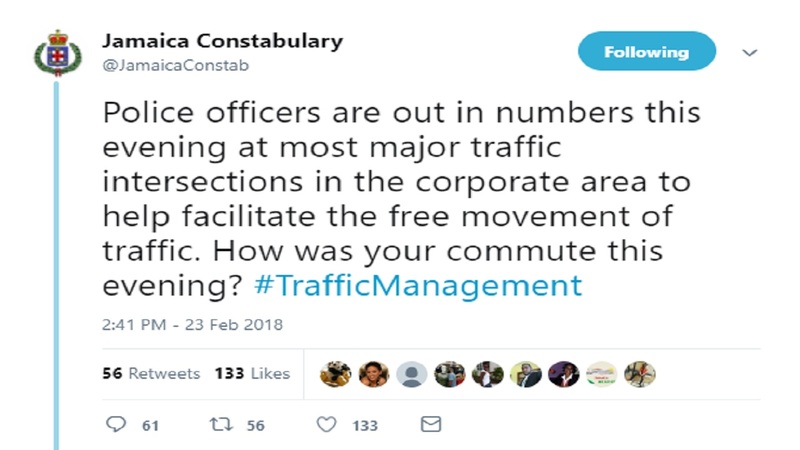 Apparently well aware of the positive impact it had on the traffic, the JCF invited feedback from the public via Twitter. The cops received rave reviews. Another journalist, Damion Mitchell said he was “impressed”. “Surprisingly smooth. I was so relieved and impressed. I was preparing for the long delays but that never happened,” the Gleaner reporter said. Have you felt the impact of the increased police presence on the roads? 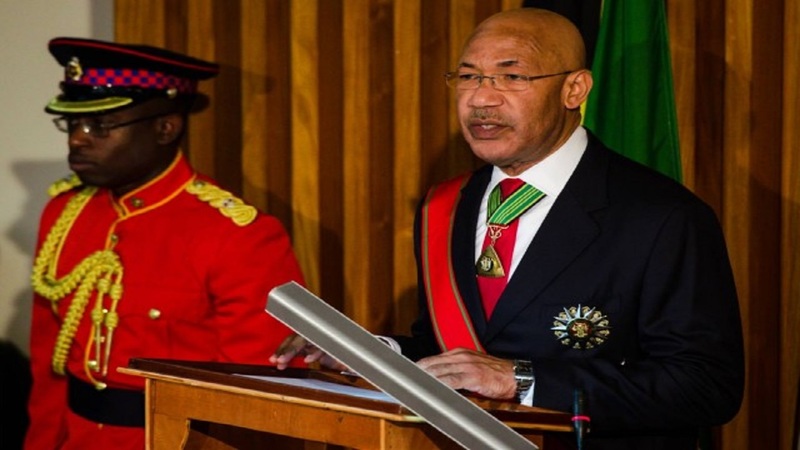 Commendations for the police continued into Saturday morning, with a number of Jamaicans – including politicians Fitz Jackson and Venesha Phillips – expressing appreciation for the measure. Despite the overwhelmingly positive responses, there were some reports of problems caused by (you guessed it) rogue taxi and bus drivers. 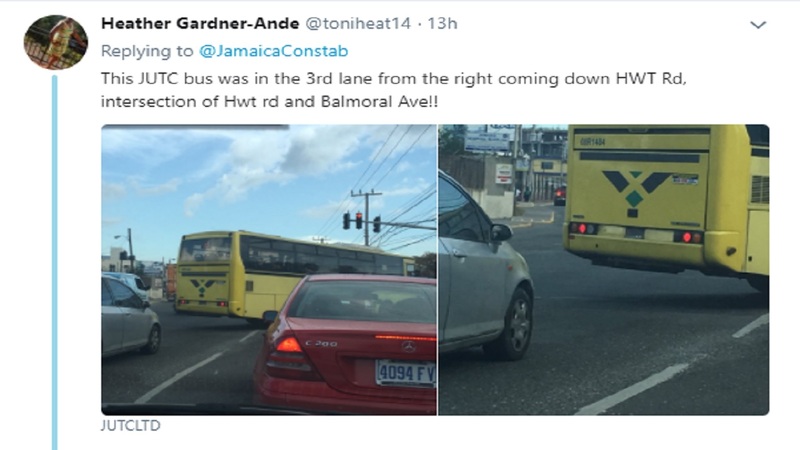 Businesswoman Yaneek Page complained about almost crashing into one of the “rogue taxis coming from E Kings House Rd”, while another twitter user (Heather Gardner-Ande) took a photo of a Jamaica Urban Transit Company bus cutting across two lanes purportedly without any care. 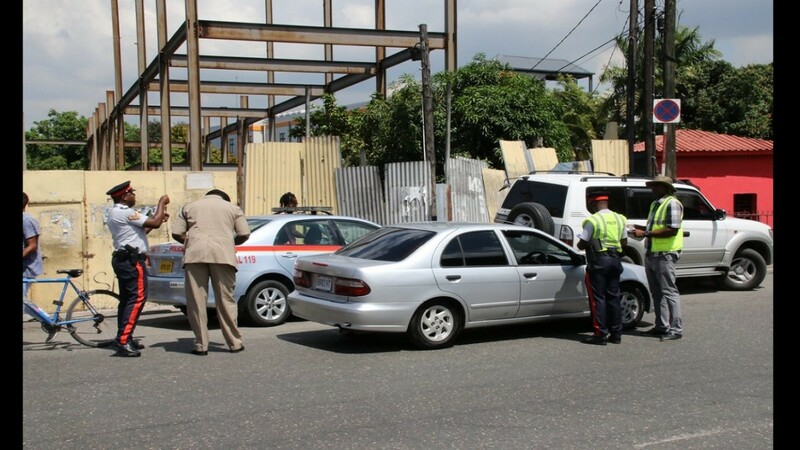 Its obvious inability to completely rid the roads of indiscipline users aside (one man suggested getting rid of taxis all together), the JCF gets a very good grade for its effort. The big question now is, how long will it last? For all your news from Loop, download our app at http://bit.ly/GetALoopJM for Android; and at http://bit.ly/GetiLoopJM for IoS.